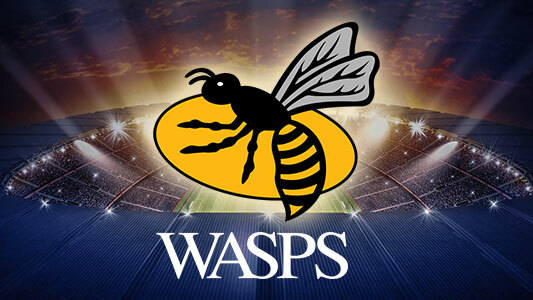 AXS has announced a new agreement with Wasps Holdings, which will see it become the exclusive ticketing partner for a wide range of live events at The Ricoh Arena in Coventry. The four-year deal will cover Wasps Rugby, Wasps Netball, concerts, exhibitions and other live events at the venue from October 2018. AXS will implement state-of-the-art technology solutions to ensure a frictionless purchasing and entry experience for ticket holders. These new innovations will include Fansight, AXS’ virtual reality seat maps which will provide an opportunity to choose seats online and view the whole of the stadium in high definition before purchase. AXS will be providing Wasps with AXS Mobile ID, its innovative identity-based digital ticketing platform, allowing fans to buy tickets and enter the stadium using their mobile devices for the first time and providing Wasps with better information about who is actually in attendance. Also being introduced is ‘Fan Account,’ a new portal that allows ticket purchasers to create a friends and family group, giving them permission to purchase on their behalf and view their “Buzz Points” – loyalty tokens which can be accrued when buying tickets and merchandise. Fan Account will also have branded sponsorship areas for key sponsors, enabling them to sign into their own portals and manage their ticket allocations. This feature will also be available to community rugby clubs, pubs and societies that partner with Wasps for cashback on ticketing sales. Part of this new package also includes AXS Intelligence, which is a dedicated real-time business intelligence platform providing detailed insight and analytics into the data surrounding ticket purchases. To ensure a smooth transition over to the new systems AXS will provide full technical support and will have one of their own senior technical managers embedded within the Wasps ticketing team to help manage and oversee the day-to-day operations of the new platform.